1.5 rewards points minimum is good. You can also improve it to 2. No limit at purchases to gain rewards points. You will not pay annual fee for this card. It is good for balance transfer. Balance transfer fee is also reasonable. No liability protection is available. BBVA Compass Rewards Card interest rates are a high. It can be still very low depends on your creditworthiness but we always consider the maximum amount first. Limited services and promotions except rewards. You can find a detailed review for the card below. We investigated each features of BBVA Compass Rewards Card and we provide our own thoughts for you. If you have any experiences about the card, please leave a review. 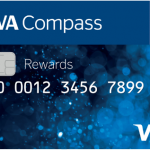 BBVA Compass Rewards Card is providing good options to get rewards points. The regular rate is 1.5 rewards points at every purchases. However if you ever deposit $1000 to your bank account, you will increase your rewards points to 2 for every purchases. There is no limit on this and you can gain 2% rewards points with depositing $1000 to your BBVA Compass deposit account every month. I believe if you are going to work with BBVA Compass for your financials, this opportunity can be very good for you. However we recommend you to be careful about interest rate of the card. We are going to mention about this at APR and Fees section below. Unfortunately there is not any good bonus of the card at this time. If BBVA Compass can do a good sign-up promotion for this card, it will be more attractive for consumers. If your creditworthiness is not very good, APR amount can be high with this card. If it is good, it is going to be very low. More than 30 percent annual interest rate can be quite problematic for consumers despite of good rewards rates. APR is 13.24% to 31.24%. There is not 0% APR promotion of credit card for purchases but it is available for balance transfers for 13 months. However if you would like to have %0 interest rate for balance transfers. This is available in BBVA Compass Rewards Cards. There is no annual fee of the card and we always like no annual fee cards. Because no annual fee cards are always making rewards more beneficial for consumers. If you are purchasing abroad very often, you will need to make 3% extra payments with the card for each of your foreign transactions. Maximum cash advance fee and balance transfer fee is average. Their rate is 4%. However minimum payment is $10 and this is above the average. 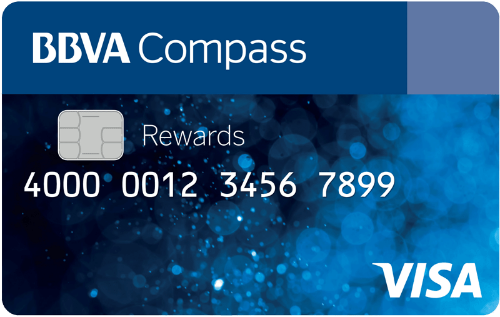 BBVA Compass Rewards Card is not a bad card if you have a good credit score. It depends on your APR much. If you get this card with APR more than 20 percent, it won’t worth it despite of 2x rewards. We recommend you to talk to a banker of BBVA compass before applying to card and learn possibilities about APR rates first. If there was an introductory period on purchases, this card could be a good opportunity for consumers. Max 31 percent APR is scary. But min APR is very good. How can I get minimum APR in this card? Thank you for the question, you can always ask us questions through our Q&A service too. You can get faster answers to your questions. We recommend you to call the bank or visit a branch of the BBVA Compass for this. A banker can help you much better for learning APR. If you can send us some documents about your credits, our consultants can also check them. My APR is about 16% I agree that interests are effeting the card performance. My friend couldn’t handle bills with 29% APR. I am good though.